Wraeclast is pretty miserable, what with its writhing creatures and ravenous beasts hungering after your flesh. 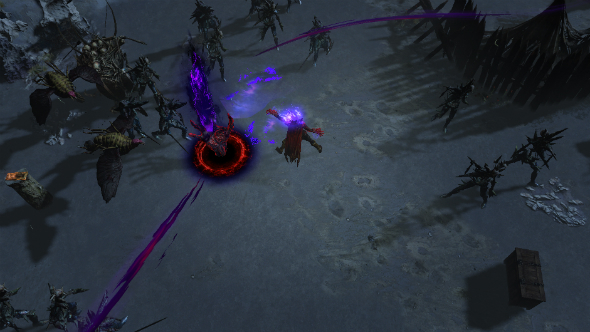 It’s a world that wouldn’t welcome a traditional Christmas celebration, so Grinding Gear Games have instead decided to treat Path of Exile’s many players to heaps of new features in the form of the 2.5.0 content update and the release of the Breach Challenge Leagues on December 2, 2016. For more of the great F2P titles, check out these free MMOs. 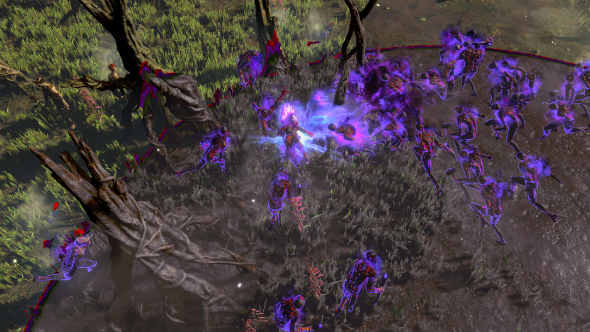 Therefore, in order to keep you all in the loop ahead of its release, we’ve put together this one-stop guide to everything that’s coming to Path of Exile as part of the upcoming Breach expansion. For anyone new to or unfamiliar with Path of Exile, Challenge Leagues are temporary competitions that run for three months at a time offering players the chance of a fresh start, resetting player stats, gear and the in-game economy so as to provide everyone in the league with a level playing field. According to game designer Chris Wilson, “Breach is the largest Challenge League we’ve done, and that’s important because there’s a lot of content to chew on over the Christmas period, which is a time when people play games more than they normally do – or at least our players do”. Breaches will only last for 30 seconds, but you can extend that period to 60 seconds by killing as many monsters and fast as you can – a process which expands the borders of the Breach itself, potentially uncovering more loot as it grows. Extending the time that the Breach is open will also summon stronger enemies, upping the challenge in exchange for higher drop-rates of unique items. 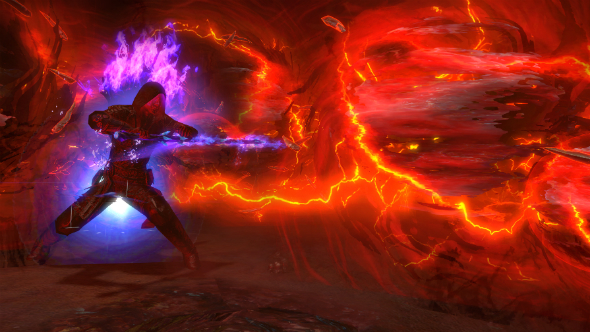 Breaches come in five different flavours: Fire, Cold, Lightning, Physical and Chaos. While Breaches should crop up roughly every ten minutes, Physical and Chaos breaches are exceedingly rare. Each of the elemental Breach types has its own monsters, bosses, effects and unique items, as well as a Breachlord and his domain to pursue over the course of the Challenge League. Remember those Breachlords I just mentioned? Here’s what they are. Each type of Breach has a Breachlord – he’s essentially the big bad boss guy whose realm you’ve just marched into. A Breachlord can appear at random whenever you open a Breach and will relentlessly hunt you down, dealing massive damage in order to make your Breach attempt as difficult as possible. Of course Breachlords also drop great loot, but they can’t be killed unless you gain access to their Domain directly, which you can only do by acquiring a Breachstone (More on these below). But it’s still worth trading blows with a Breachlord because he’ll drop loot proportional to how much damage you mete out, which puts a positive spin on his arrival. Breachstones will let you gain one-time access to a Breachlord Domain. This is a pretty big deal, because in order to get a Breachstone you’ll need to accumulate 100 Splinters of the same Breach type. Again, all of this will only give you one attempt at slaying the Breachlord. This makes Physical and Chaos Breachlords especially difficult to gain access to, as these Breach types are much more rare. To make matters worse, you won’t know what type of Breach you’re opening until you’re surrounded by demons and spamming through your healing potions – this means avoiding common Breach types in favour of the rare types simply isn’t an option. Aside from the challenge of hunting down Breachlords, there is also a unique set of three items that can be acquired from each type of Breach. These items are designed to greatly expand character build options to allow builds like those seen in the Dark Souls series – armour that buffs the player if they’re bleeding, or a helm that rewards the player for uncapped damage resistances. Making a workable build out of these unique items is the ultimate Breach bragging right. Each type of Breach has its own Breachlord, and they aren’t very nice. In order to slay these Breachlords you’ll need to gain access to their Domain, which is no mean feat. To do this you’ll have to first acquire the right type of Breachston, which grants you access to a special level that works in much the same way as a Breach – only larger. 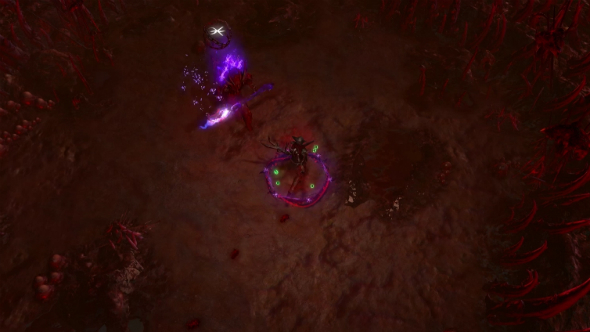 Here you’ll have to kill as quickly as possible in order to expand the Breach to the edge of the map, exposing a portal to the Breachlord’s domain in the process. Hop through the portal and you’ll finally get the chance to slay the Breachlord. This part of the fight won’t have a time limit, but promises to one of the toughest fights in the game. But why bother is he doesn’t drop any unique items? 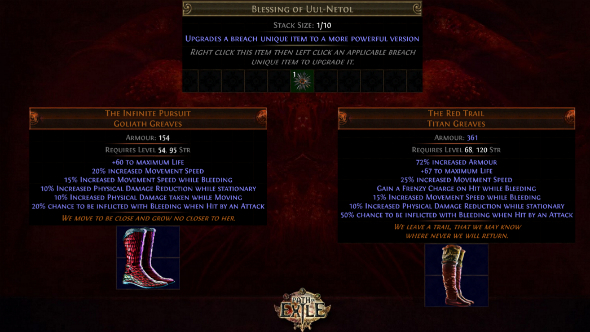 While it’s not guaranteed, Breachlords can drop blessings that you can use to upgrade the unique items associated with that Breach type. This all makes the Breach Challenge League sound foreboding and uninviting, but there are plenty of rewards awaiting committed players at the end of the League. Some of these microtransactions are worth up to $35 on their own, so the chance to earn them for free is bound to appeal to a lot of players. The community have wanted cloaks for a long time and now they’re finally here. “We wanted to do cloaks because they would be an amazing item to sell as a microtransaction,” explains Wilson, “but we lacked a soft-body physics system that could do the cloth simulation. So we found this Russian guy with a PHD in cloth physics and got him over to New Zealand for a few months – so now we have cloaks”. 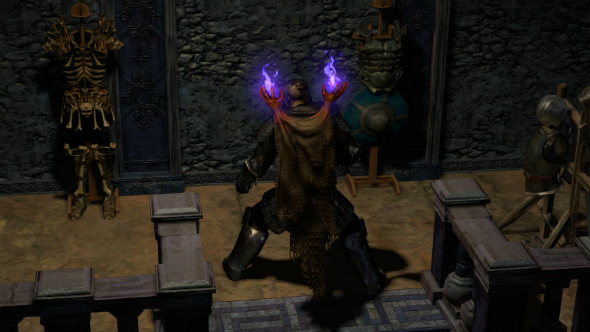 The first set of cloaks will be coming to the game in the form of Breach Supporter Packs, which help fund development of the game in exchange for unique gear. Two packs will go on sale ahead of Breach’s release, one for $30, and another priced at $60. In addition the Supporter Packs will also contain a portal effect, weapon effect, social portrait frames, supporter titles and lots and lots of points. So all in all a busy time of year to be a Path of Exile player. Let us know what you think of the upcoming expansion in the comments below.